You're a Homerun! Please don't let me Strike Out! I hope our love goes Extra Innings! Don't throw me a Curve Ball! I love you at Home or Away! As the mom of a boy, I know they usually get the short end of the stick when it comes to Valentine's Day. Not everything has to be pink, and ribbons, and lace (and I love those things)! 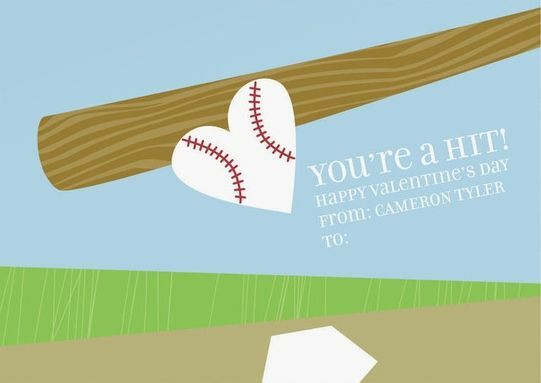 Valentines for boys can be cute, too!!! 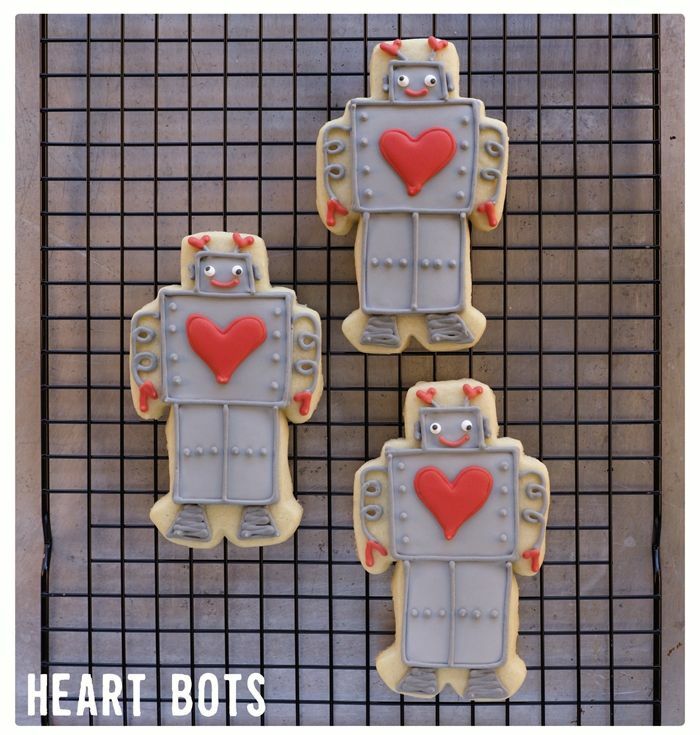 In Decorating Cookies, I created some Heart Robot cookies...which is one of my favorite designs in the whole book. Yay for boy valentines! Using #2 tips, outline all of the cookies. Outline the caps and hearts in white and the bats in brown. Thin the brown and white icings with water, a bit at a time, stirring with a silicone spatula, until it is the consistency of a thick syrup. (Reserve some of the white icing for piping details later.) You'll want to drop a "ribbon" of icing back into the bowl and have it disappear in a count of "one thousand one, one thousand two." Four is too thick, one is too thin. Count of 2-3 is good. Cover with a damp dishcloth and let sit for several minutes. Let the cookies dry for 30 minutes to one hour. Use #1 tips to add detail piping to the caps and the heart "baseballs." I like to make the stitching into little hearts. Let the cookies dry 6-8 hours or overnight. Once they are completely dry, mix water with the chocolate brown food coloring....a 1 to 1 ratio or so. Trim the fan brush, so that it is uneven. Dip the brush into the food coloring mixture, dab the excess on a paper towel and brush onto the cookies. The food coloring will dry fairly quickly and be ready for packaging and giving. Can we make heart-shaped baseballs a thing? *portions of this post were originally published 2-13-13. AS cute as anything..but then..all your cookies are the cutest. Moreover, those that reflect openings, commemorations,bitcoin sports betting and different festivals are additionally liable to convey a high esteem.